Sixteen books in the Old Testament (the “prophetic books”) are by or about these prophets. The four “major prophets” are Isaiah, Jeremiah, Ezekiel, and Daniel. The 12 “minor prophets” are Hosea, Joel, Amos, Obadiah, Jonah, Micah, Nahum, Habakkuk, Zephaniah, Haggai, Zechariah, and Malachi. Of course, Moses, the greatest Old Testament prophet, is traditionally regarded as the author of the first five books of the Bible. There are also many noteworthy prophets who did not contribute to the canon of the Bible, such as Samuel, Nathan, and Elisha. There were female prophets too: Miriam, Deborah, Huldah, Anna, and Philip’s four daughters. Mozart's Sonata in C Major .... on Two Guitars! Over the next couple of days I will be back-dating a bunch of posts and spreading them out over the last two months in order to provide content that I wrote but did not have the time to post on my blog. So, check back often -- and scroll down! -- to read those posts as they appear. Some of them are short, others are long, but I think they are all helpful and instructive. I have decided that this will be my last poll. As you have undoubtedly noticed, I no longer have the time to update the poll as often as I would like. So, I feel that it would be best to just conclude that feature of my blog, instead of leaving people wondering when the next poll will come. True or False? : In the celebration of the Eucharist with the apostles and his commandment to them to celebrate it until His return, Jesus constitutes the apostles as priests of the New Testament. What say you? I'll keep this poll in the sidebar for a month. If you want to vote after that, see the poll archives. The answer to the poll question is here. The majority of the polls that I have featured here over the years are still open. So, you may be interested in voting in them as well. The poll archive is interesting because, in a way, it provides a sort of snapshot of my readership: what they like or don't like, how well they know their faith, what interests them, etc. The number of you who visit my blog and read it on a regular basis has waxed and waned over the years (depending, I think, on how much time I am able to devote to my blog), but I have always appreciated you nonetheless. TRUE, cf. CCC, no. 1332: [It is called] Holy Mass (Missa), because the liturgy in which the mystery of salvation is accomplished concludes with the sending forth (missio) of the faithful, so that they may fulfill God's will in their daily lives. I would imagine that the reason many of you voted "False" was not so much the last part of the statement (the "sending forth"), but the first part, where the Eucharist is called "Holy Mass." Personally, I'm not used to calling the Eucharist "Holy Mass." As I understand it, the Mass is where we receive the Eucharist. There is more to the Holy Mass than the Eucharist, although the Eucharist is certainly central to the Mass. So, the identification of "Eucharist" with "Holy Mass" is odd to me. What do you think? Leave a comment and let me know. The first description is a misconception because Purgatory is only for souls that are already in a state of grace or friendship with God. These souls have persevered to the end. The divine life in them remains. If a soul is not fit for heaven, then it is not fit for Purgatory. There are no “second-chances” in the afterlife. The third description is a misconception because it attributes a soul’s release from Purgatory to his own suffering, instead of to the work and suffering of Christ. Yes, there is suffering in Purgatory. After all, it is a state of being refined in the furnace that is the burning fire of God’s love (cf. 1 Cor 3:12-15; Heb 12:29, Songs 8:6). We certainly can’t expect that to be pleasant! But, our suffering only has meaning and is only meritorious (or, worthy of receiving grace) because of the grace of God. Purgatory is a final application of the grace that He won for us on the Cross. So, it is ridiculous to say that Purgatory is somehow a belittling or a contradiction of that work. I hope that helps you to understand Purgatory better. For more on Purgatory, see the Eschatology and the Last Things Topical Index Page. What Is the Difference Between Mortal and Venial Sin? Most of the sins that we commit every day are venial sins. These can be forgiven through an Act of Contrition (or some other prayer that shows God we are sorry for our sin and we desire His forgiveness) or by going to Confession. Venial sins are also forgiven whenever we receive the Eucharist. If we die with venial sins on our soul, we can still go to heaven because venial sins do not destroy the divine life within us, they simply wound it. However, that does not mean that we should have a cavalier attitude towards it. We should strive to avoid all sin, including the lesser ones. Venial sins too can be dangerous because the more we sin venially, the more likely we are to commit more serious sins. We know that sin leads to death; it is better to not even go down that road. I hope that helps. For more on mortal and venial sin, see "Is All Sin Equal in God's Eyes?". 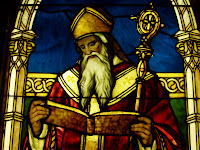 Did St. Paul Really Mean to Say that Bishops Must Be Married? Now, this passage is not saying that a bishop must be married. Instead, it is saying that if he is married, he must be married only once. In other words, he can't have multiple wives, or divorce his current wife and marry someone else.